Desktop Wallpaper (1366*768/JPEG format) - Free Download. 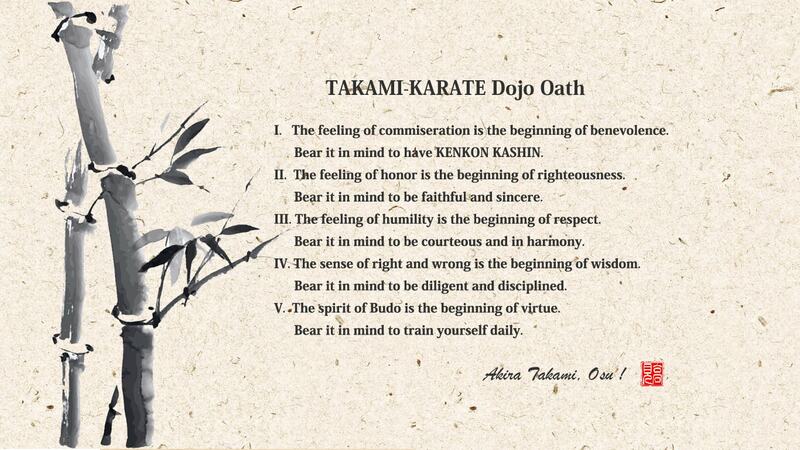 Here you can download TAKAMI-KARATE wallpapers for using as desktop images & backgrounds. I. The feeling of commiseration is the beginning of benevolence. 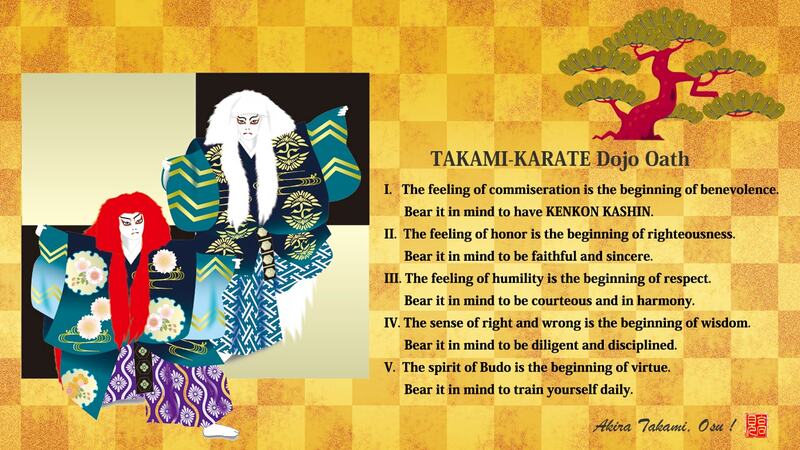 Bear it in mind to have KENKON KASHIN. II. The feeling of honor is the beginning of righteousness. Bear it in mind to be faithful and sincere. III. The feeling of humility is the beginning of respect. 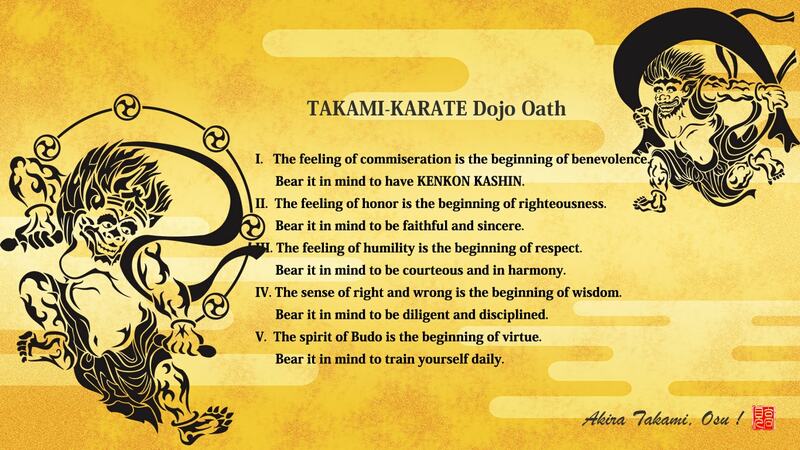 Bear it in mind to be courteous and in harmony. IV. The sense of right and wrong is the beginning of wisdom. 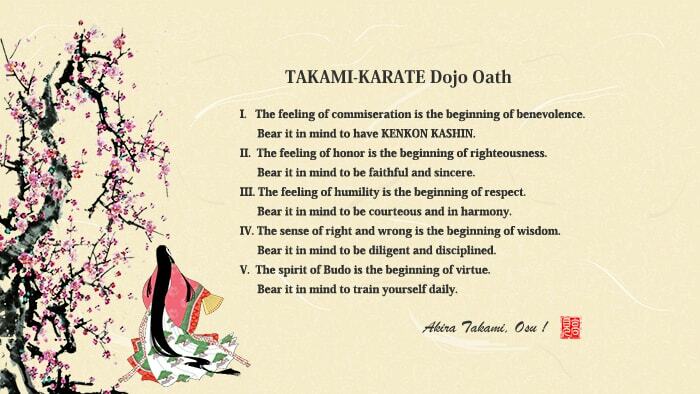 Bear it in mind to be diligent and disciplined. 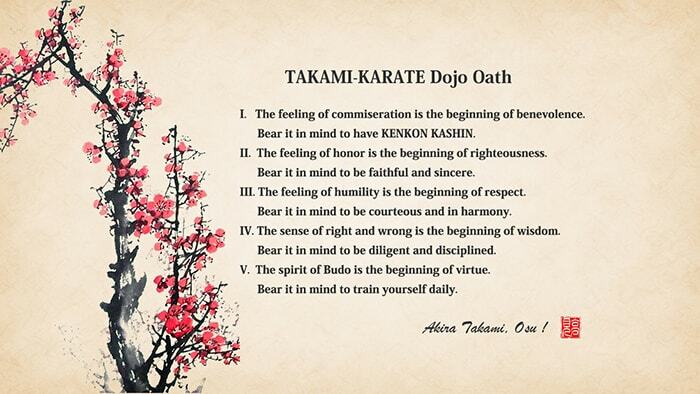 V. The spirit of Budo is the beginning of virtue. Bear it in mind to train yourself daily. ･KENKON KASHIN is one of the traditional concepts of samurai spirit. It means that only toughness does not define Samurai. Samurai shall be physically strong and culturally civilized, and keep calm and merciful even on the battlefield. ･TAKAMI-KARATE Dojo Kun, based on the concepts of Mencius (The Four Beginnings) which deeply influenced the way of Samurai, reflects the spirit of Mas Oyama. TAKAMI-KARATE is a karate-do organization, the predecessor of Ehime-ken Branch of International Karate Organization Kyokushin-kaikan established in 1979. We provide a Karate-do curriculum for adults and children in 17 studios in Ehime-ken, Japan.